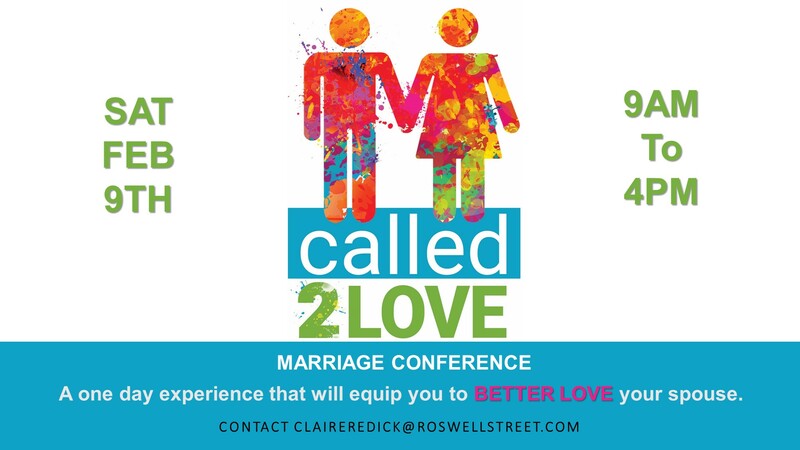 Event Description: The Called 2 Love Workshop is a one day experience that will equip you to better love your spouse. Learn valuable tools to take your marriage intimacy to the next level. Great for engaged couples*, newlyweds, long married, or anywhere in between. Lunch, snacks, and materials are provided. Please register both yourself and your spouse/fiancé. 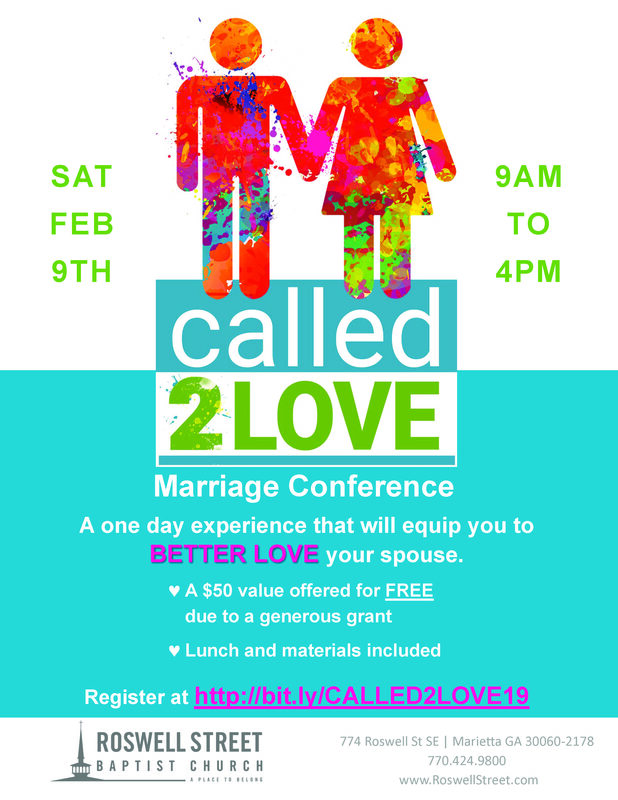 *This workshop is a Qualified Premarital Education Course in the state of Georgia, which typically saves couples $40 on the cost of their marriage license. The couple must complete the workshop together within 12 months prior to the application for their marriage license.